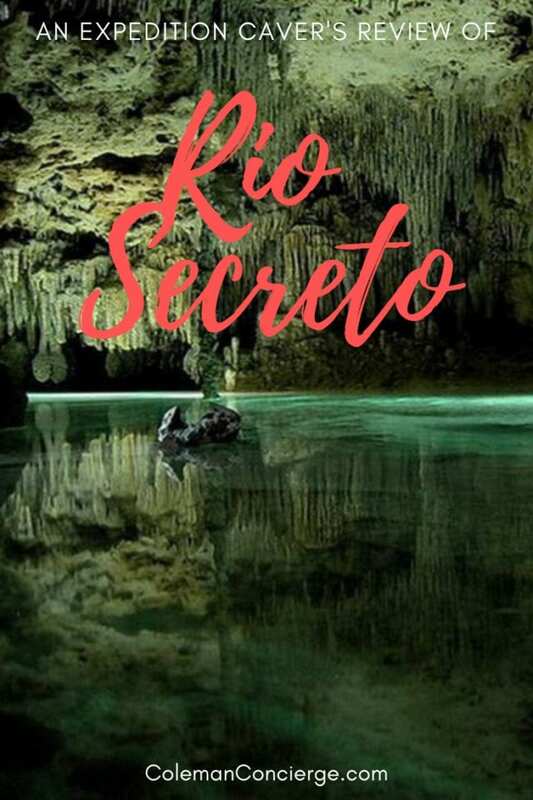 I am a trained vertical caver who has participated in international scientific caving expeditions, was I really going to enjoy a discount tour of Rio Secreto? I couldn’t believe my eyes when I saw lines of “average Joe” tourists wading through spectacularly decorated cave passage on the advertisement. Even in Riviera Maya, there’s no way you can walk in off the street and do this. 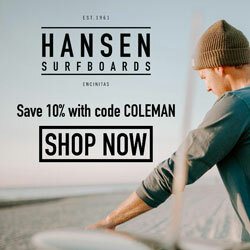 Even if you could, is it safe and ethical? Of course, I had to go and find out for myself. We weren’t sponsored by Rio Secreto, so I’ll let you in on a little secret. 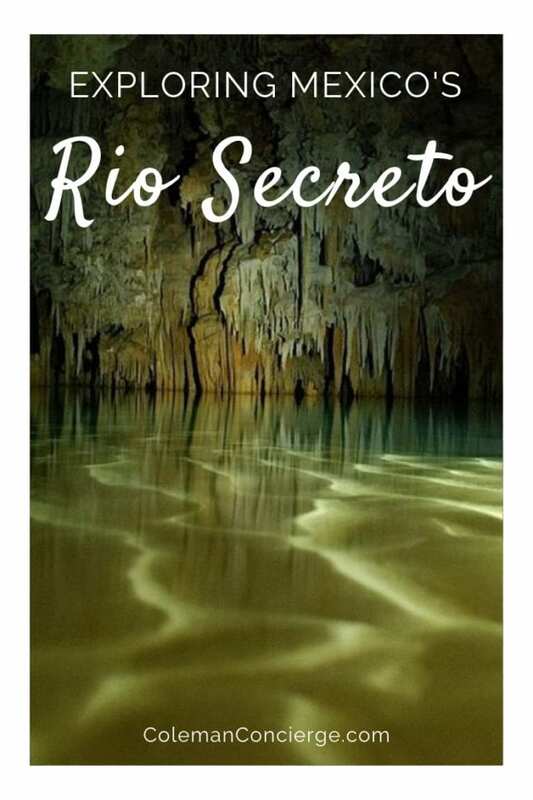 There are discount tickets available for Rio Secreto. We bought tickets for off Viator and saved a little money. You can also “hang out” on the website, and they might offer you a booking discount via chat. I was offered discounts via chat a couple of times doing research for this piece. Even at the market price of $79 USD the trip is well worth it. With tickets in hand, we drove ourselves to the entrance, which is 5 minutes south of Playa Del Carmen right of the Federal Highway. There was plenty of free parking available, and soon we were waiting for our group to assemble before embarking on our three (and a half) hour tour. I love gearing up for caving. There’s just a certain thrill when you put on your helmet and fire up the headlamp. 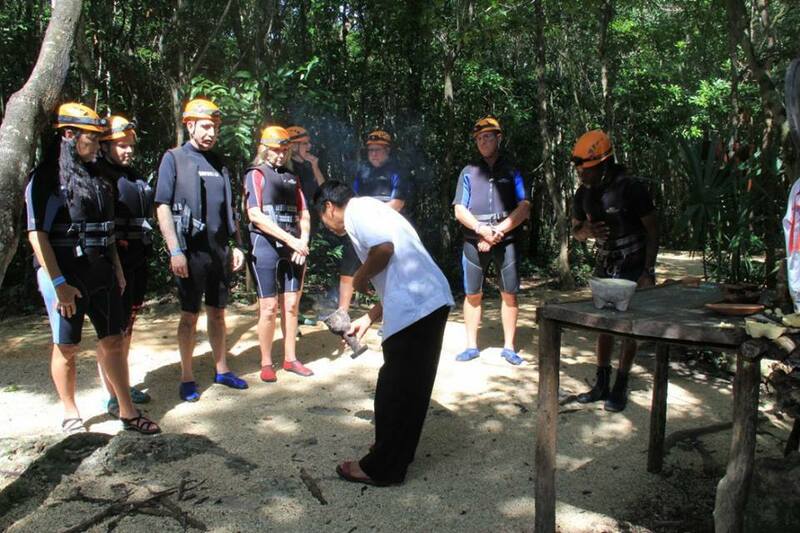 One of the first things our guides had us do was to take a quick shower to keep our oils from polluting the cave. Putting on a wetsuit was that much more exciting. 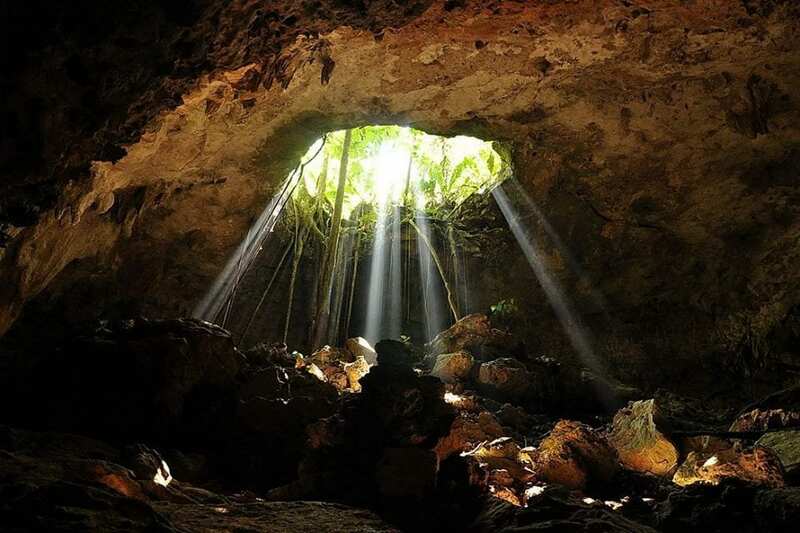 I’ve done some wet caving in Belize that was absolutely gorgeous including camping in a cave around Caracol that has one of the world’s largest chambers. The entrance was 300 meters across! Wet caving in Arizona was a little more sporty. 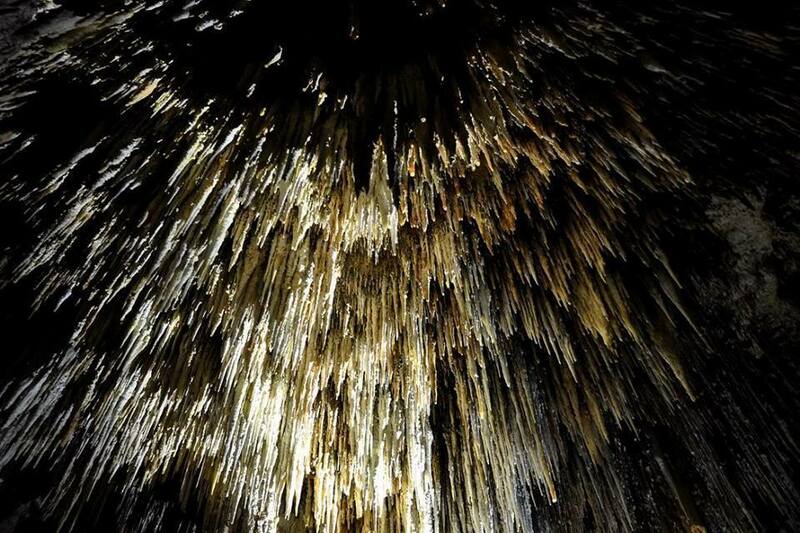 In most Arizona caves we actively avoided entering cave water because it wasn’t part of a stream or river passage. However, there was this one cave we would go to just because it had stream passage. We’d push through about three hours of cold, tight crawls to make it through the “seven selectors” with the final one being the Fallopian Tubes. By definition, fallopian tubes are tighter than birth canals, but we needed to push through to reach the stream passage. It was cold, wet, tight, miserable and basically nothing like Rio Secreto. 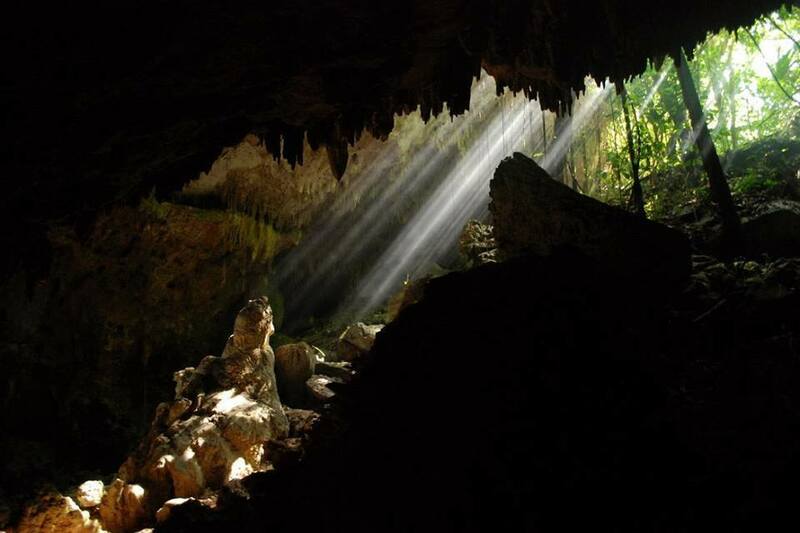 Caves are spiritually significant to Maya because they are the gateways to the underworld. On the Belizian expedition, we would receive a priest’s blessing before our day of mapping or gathering specimens. Rio Secreto had a Mayan priest perform a blessing for our group as well. I’m not sure exactly what he said but there was a lot of smoke, and we all chanted after him. Presumably, we were blessed and safe to proceed into the underworld. I wonder what he could do for our site traffic if I slipped him a $20? With that, we hiked down a short trail to the mouth of the cave. Along the way, side routes shot in every direction. 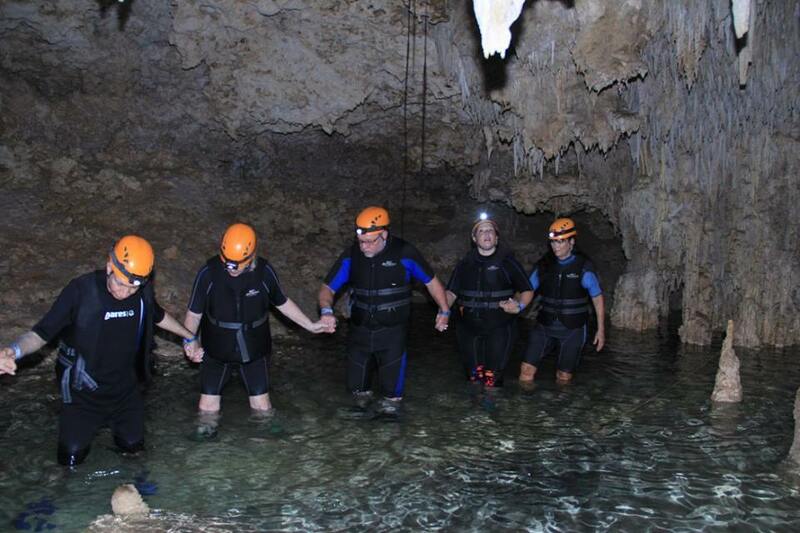 Our guide said they were four other cave tours at Rio Secreto. She said there had been 35 km of passage mapped in the ten years since the discovery of Rio Secreto. Today, five different routes cover about 7 km of cave passage. Each trip is roughly 1 km. Before long we found our entrance to the underworld and entered the land of gods. 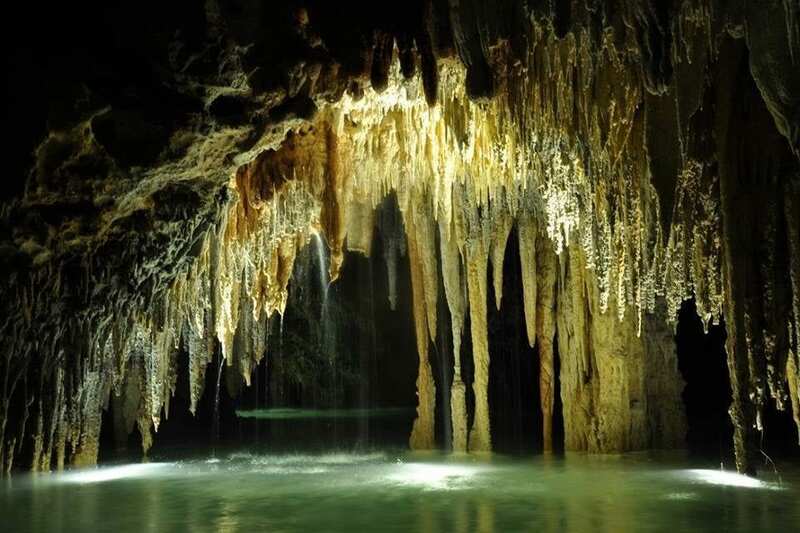 What’s it Like Caving at Rio Secreto? 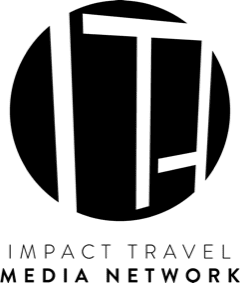 In a word – amazing! It was sportier than I expected for a commercial cave but no fallopian tube. A couple of times we were wading in waist deep water. We had to duck a couple of times too, but everybody made it through ok, even the 65-year-old French couple. Our guide even took the time to explain cave ethos and why we shouldn’t touch formations, and boy were there formations. Everywhere we looked we could see stalagmites, stalactites, and beautiful columns. The white of the walls constructed beautifully with the blue of the water. It was stunning. We even took the obligatory minute of silence with our headlights off so everybody could fully experience the underground. We safely emerged from the darkness and were all promoted to the rank of cave survivor. Rio Secreto celebrated that moment with a shot of Xtabentun liquor, a honey and anise liquor indigenous to the Yucatan. Arriba (glasses up) Abajo (glasses down) Al Centro (glasses to the front – health for all of you!) Y Pa’dentro (inside) as the end and we drank our Xtabentun. After we returned the gear, we settled down for a Mexican buffet. It was good, but the real attraction was the cave. 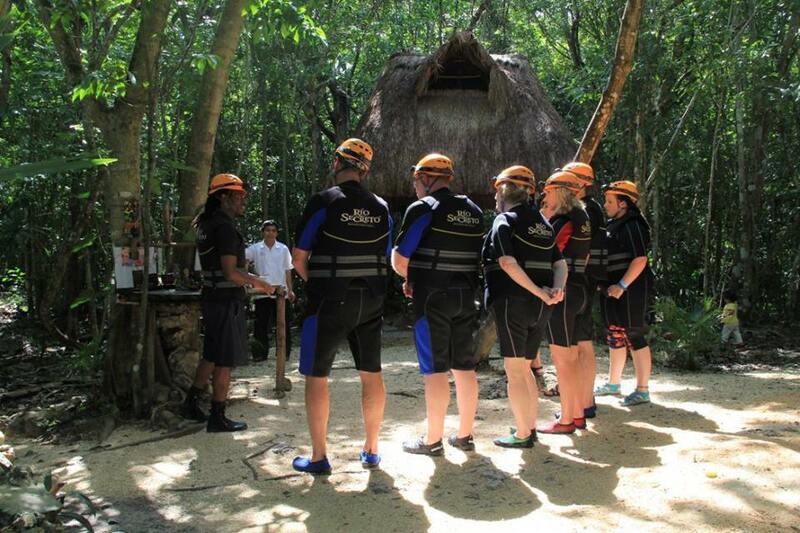 It was different from our cenote tour of the Yucatan. Cenotes are usually just a flooded pit, and here we explored cave tunnels. We found passage while diving Dos Ojos in Tulum, but here you don’t need to be scuba certified. 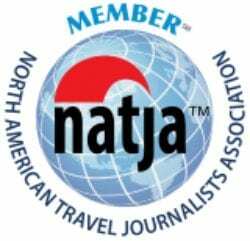 Even as an experienced caver, I thought this tour was well worth the money, promo code or not. 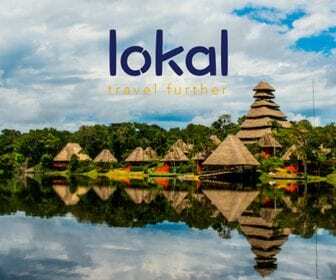 It’s close enough to be included on a Tulum itinerary, but we made it part of our Playa Del Carmen planning. 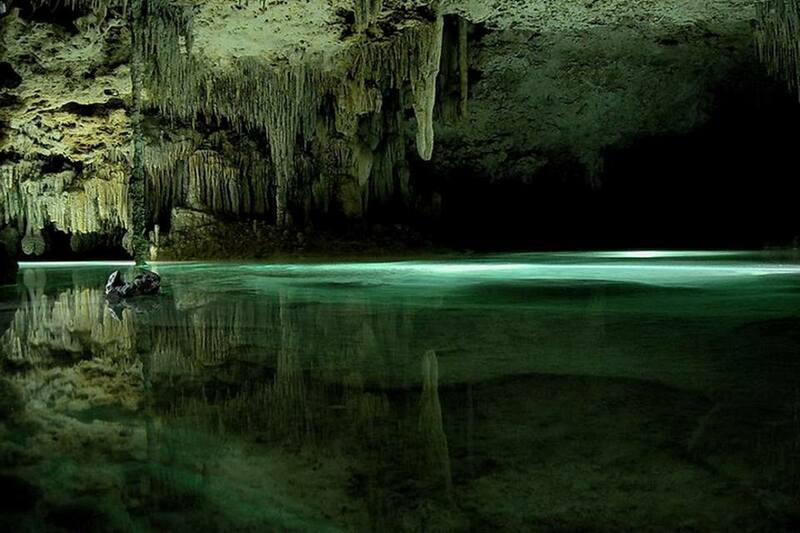 Rio Secreto is one of the best day trips on the Yucatan. 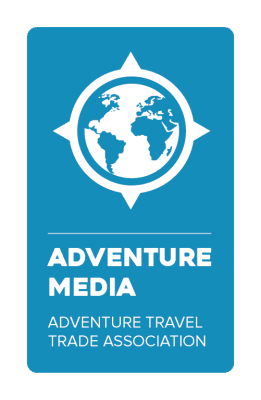 If you loved playing in the water and a little adventure, you should check out diving with sharks in Playa Del Carmen or snorkeling with turtles in Akumal Bay. Akumal Bay would make a perfect complement to Rio Secreto for a full day of adventure! 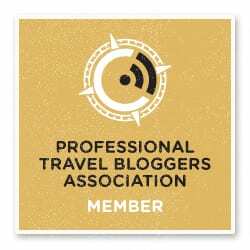 Also big thank to Janiel from CultureTrekking for supplying ALL of the photos in this article. Due to a camera issue, we had absolutely no photos from this adventure. 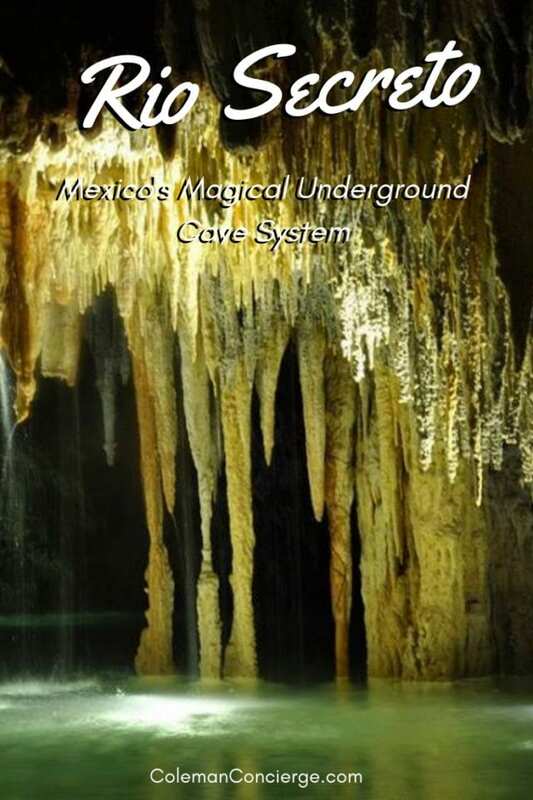 For full disclosure, Rio Secreto doesn’t allow you to take your personal camera through the caves in any event, but they do supply a photographer for every group and you can purchase your photos on the way out. 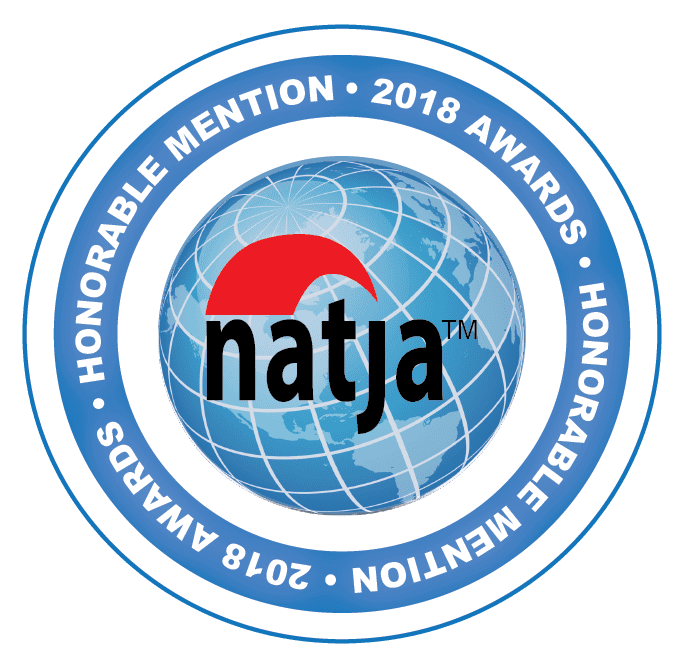 That being said – Janiel – you’re the best!